All your character pieces finished? Great! You're ready to make your title and decide on your final spacing. 1. Cut out your title letters. (I used red felt.) 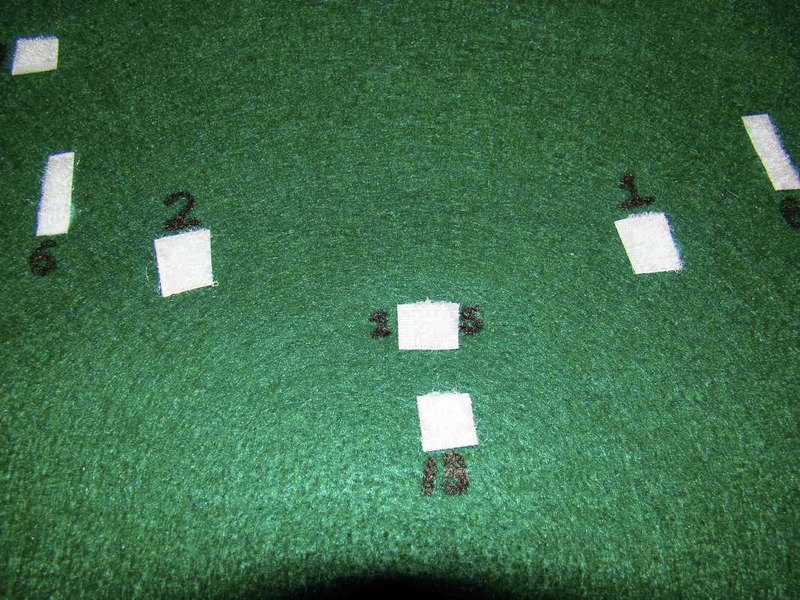 Hint: Be sure to reverse your paper letter patterns when you trace them onto your felt; that way your black marker lines won't show when you turn them right side up to glue them on your background. 2. 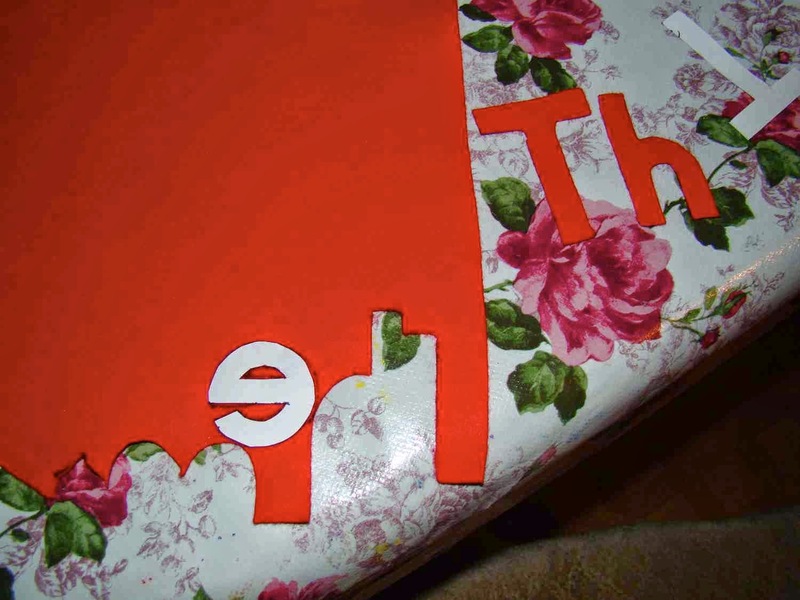 Glue your title letters onto your background, using craft glue or a hot glue gun. 1. Double-check your final spacing by laying your finished felt pieces into your manger scene, arranging them the way you want them to look. 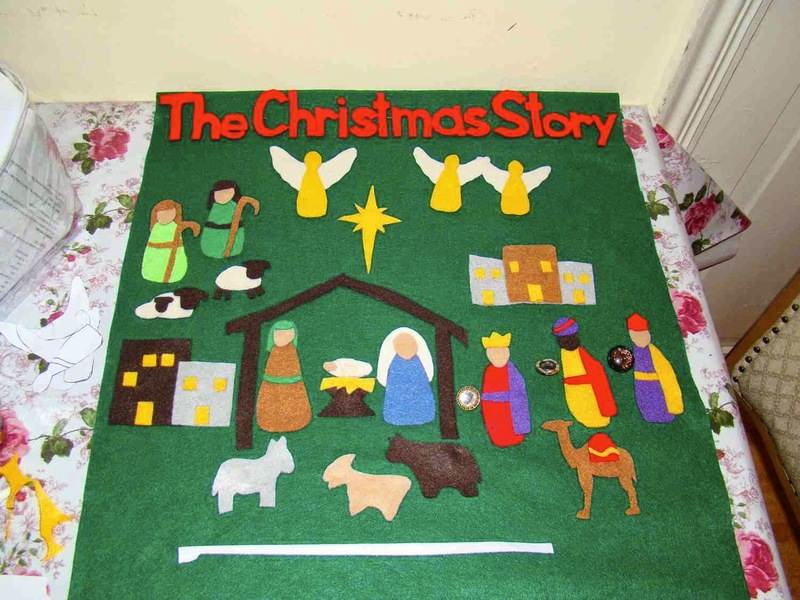 Mark the bottom of the manger scene with a pen or scrap piece of felt. 2. Then move all the pieces one by one down to the bottom of your background, making sure they all fit. Leave enough space near each piece to write in each day's number. 4. 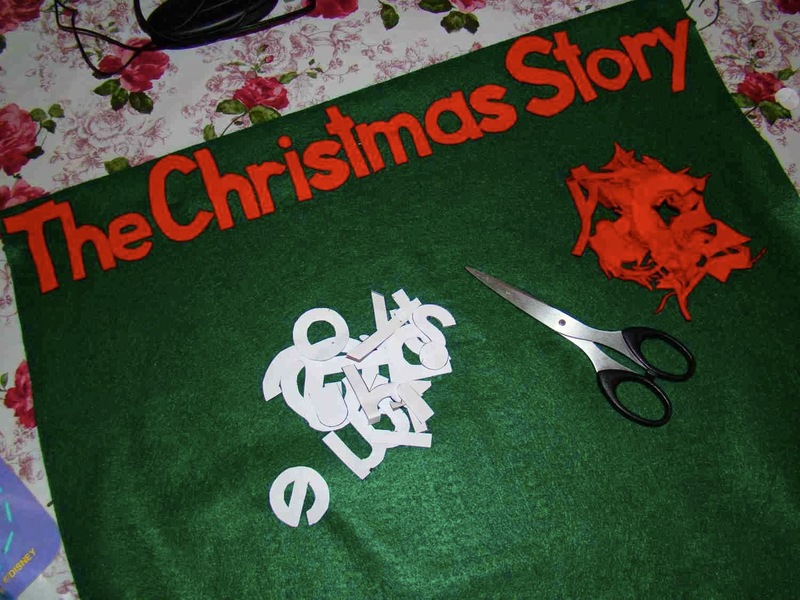 Number each velcro spot for the manger scene and the character storage places with black Sharpie marker. (Black doesn’t show up that well on my dark green background, but I tried to make the numbers big enough for my preschoolers to find, and when the manger scene is completed it’s nice if the numbers sort of blend in or are covered up anyway.) Where the character required two velcro spots, I either wrote the same number under both spots, or put the number in between the two spots. Part 3 complete! Great job! You're almost done! Remember, your calendar can look any way you want it to, ornate or simple - the point is to have something Christ-centered to help your children anticipate Jesus’ birth and learn the Christmas story! Leave a comment with your progress… I’d love to see a photo of your calendar when it’s done!